Every year, my bunch says... "Moma! What do you want for Mother's Day?" Usually, I say... Nothing. This year, it began the same way. But... after being asked MANY times, I changed my answer. I said. I want y'all to help me build a chicken yard. We had a lot of the materials, so cost wasn't a big factor. Thankfully! I mapped out what I wanted one day and we began driving posts right afterwards. I think it is absolutely beautiful! I would love to be able to let the girls just run free. That just isn't possible though. Too much danger. 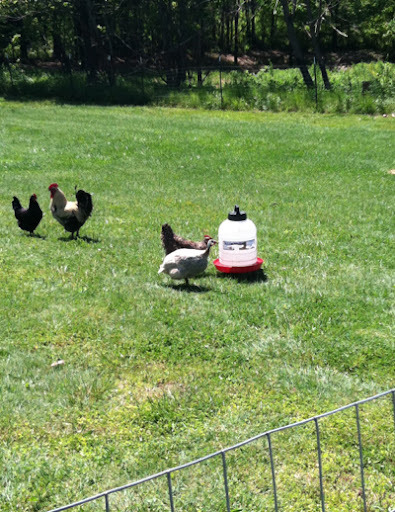 This way, they are protected and they can 'free range' as well! 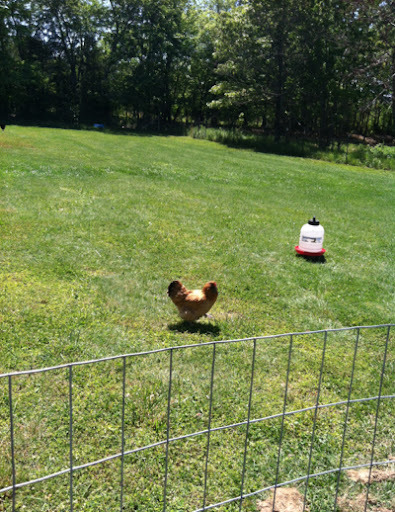 Fat, happy hens on green grass! The family asked me what I wanted to do yesterday after church and lunch. I said... 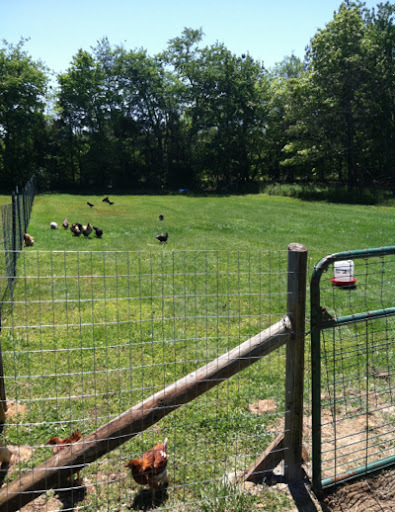 I want to clip the chickens wings and then open up the new yard. Then I sat outside afterwards and watched them scratch and peck for a couple hours. It was so grand. It almost looks like she has the whole yard to herself! I can't wait to see egg production skyrocket! One of the main reasons we needed to open up our yard, is that the guineas are pretty aggressive. 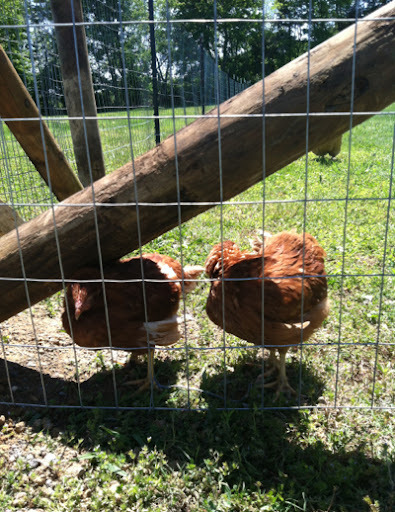 They pick on the chickens and pull out their tail feathers when they are confined. This is Red and Little Red. They are my little pets. When I come outside they are everywhere I am. They are so sweet. You can just reach down and pick them right up. So cute. Isn't this one of the sweetest sights you've ever seen? I just love it. 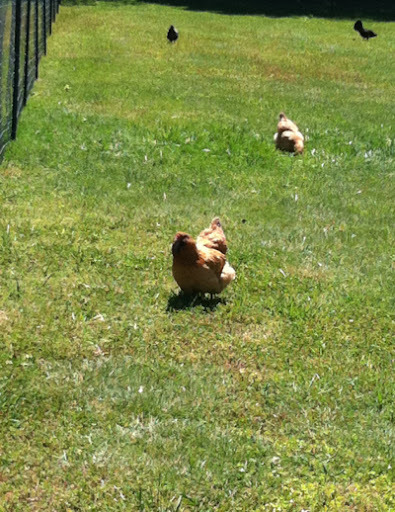 They have an entrance into the chicken pen and hen house. 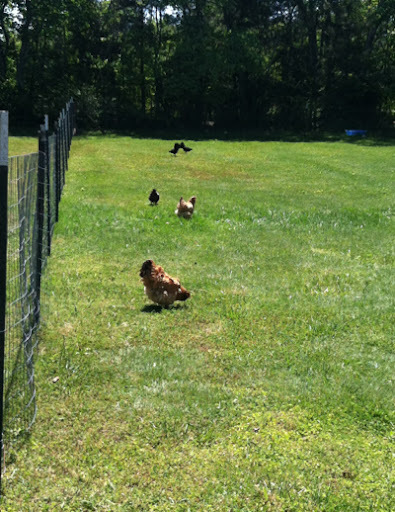 SO, it's as close as we can get to free range and I am thrilled with what we have. I hope your day was wonderful as well! This is what I want/need to do so badly. I cannot seem to find the materials here though! Its so ridiculous. :( Poor chickies.